Knitting for little babies is closest to my heart. Here at the baby knitting site, Målfrid will publish selected doll clothes designs from her doll pattern knitting site, upscaled to baby sizes. Thus her widely popular www.doll knitting patterns.com has been given a "twin" website. 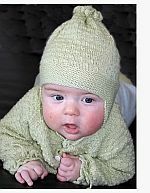 The baby knitting patterns designs at this site are identical to her doll knitting patterns designs, however since the patterns should be well adapted to a baby's body, there will be minor design changes. NB! For patterns 001B through 006B, the models are knitted in baby size, the clothes appear on babies shown on photos. Now, go and thet the lovely pattern MIO for free! Design MIO is a pattern that Målfrid created for her little grandson Mio (picture to the left.) This pattern became special to her and she wants to make it available for free for everyone that wish to knit it. MIO is knitted with a pattern with little "buds" and easy to knit. 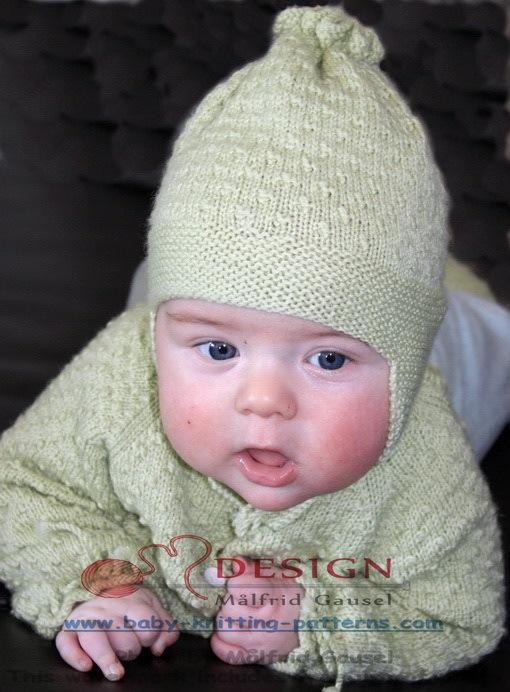 Subscribe our free Newsletter here and download Målfrid's first knitting pattern for babies for free. As a subscriber of the Newsletter you will get information and special offers when we publish a new pattern. Målfrid is inspired by her grandchildren Mio (above) and Kaja, Tiril and Fredrik (to the left). 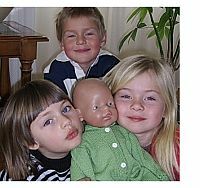 For a long time Målfrid was a doll knitting celebrity in Norway, now her web site for doll patterns gets more than 20 000 visitors each month, they come from 150 countries.Tens of thousands of the pictures are spread all over the world wide web. She is the author of five books filled with lovely doll knitting patterns, view the first four here. Every design and creation comes from her heart. These books are written only in Scandinavian languages, the next doll knitting book will be written i English and published in 2018. Don't worry, your e-mail address is totally secure.